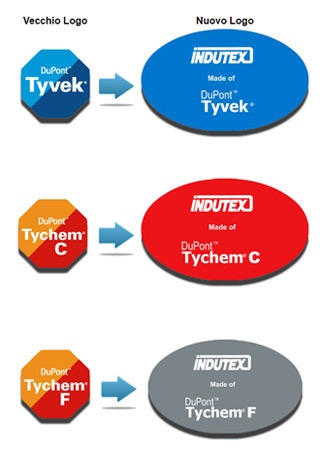 We inform all our customers that the products Indutex brand Tyvek ® and Tychem ® will undergo a redesign logos as per the attached diagram. The change was authorized by Dupont which provided for the approval of new layouts. The only change relates to the logo and the characteristics of materials and garments remained unchanged.